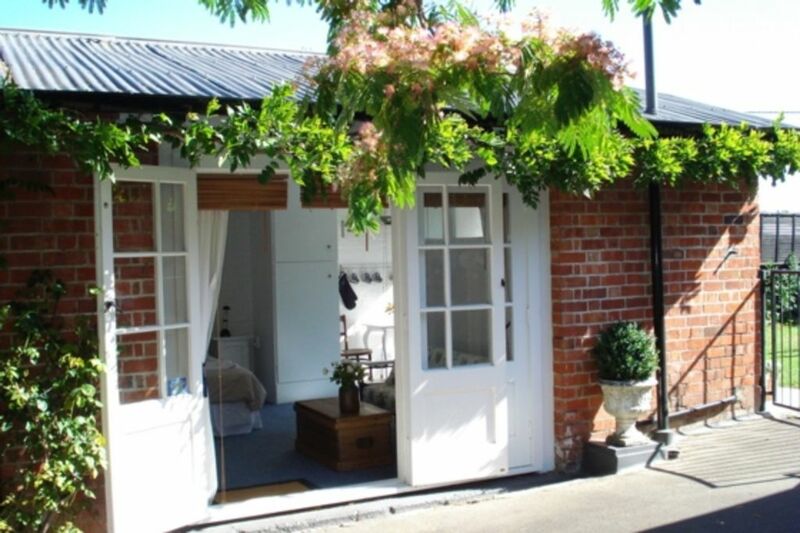 Moore Cottage is a compact and beautifully presented holiday home which offers either self-catering or bed and breakfast accommodation in the lovely Hawkes Bay village of Havelock North. Set in the grounds of a distinctive early 20th century character home, Moore Cottage has everything the visitor needs for a comfortable stay and is an ideal choice for single travellers or couples looking for a quiet and convenient base in Hawkes Bay. A choice of cafes, restaurants and shops are to be found in the centre of the village, just a pleasant downhill walk away. We loved staying in Annie and Tony's very comfortable and restful cottage. Everything we needed was there and Annie guided us to the best places to visit. It's in a central location so it's an easy walk to the village and a short drive to Te Mata Peak and many vineyards. Beautiful property with well thought out accommodation. Anne was a fantastic host, very accommodating and helpful, couldn't recommend Anne and this property any more highly. Fantastic unit. Cosy and very close to town. Clean, tidy and comfortable cottage. Very friendly host. Close to town. Will most definitely visit again and totally recommend to other people. Had a lovely stay. We really enjoyed our stay here. Annie is the perfect host, she made us feel so welcome. I loved all the little personal touches in the cottage, it felt like home. We will definitely be back here. A perfect spot for our wee sojourn in Havelock North - Annie made us feel super welcome and was the perfect host. We'll be back! What a gorgeous room. The hosts were very friendly and it was lovely to be able to take a dip in their pool. Easy walk to town and cafes. Would stay again most definitely.